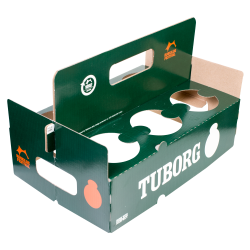 Tablebox designs and produces innovative packaging for food and beverage on factories in Europe and North America. 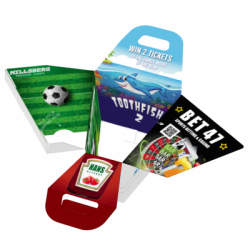 Below are some of our packaging solutions that enhance the customer experience, increase turnover and enables communication to guests. A Tablebox is a combined food carrier box and lap tray. 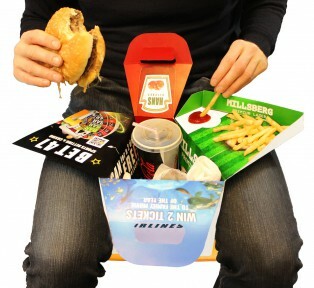 It serves as a container for transporting fast food and to conveniently enjoy a meal without a table. Increased eating experience for the guest and new ideal sponsor opportunities on the tray. 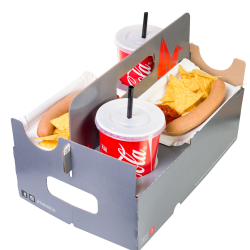 The Tablebox beverage carrier increase beverage sales by enabling customers to carry more beverages and prevent beverages from tipping over when placed on the ground, enhancing the customer experience. The carrier is ideal for 2x food trays combined with 2 beverages as well. 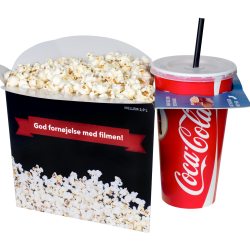 The Tablebox popcorn combo box enables the guest to carry the popcorn and beverage in one hand. Freeing a hand increases the probability of an additional purchase. 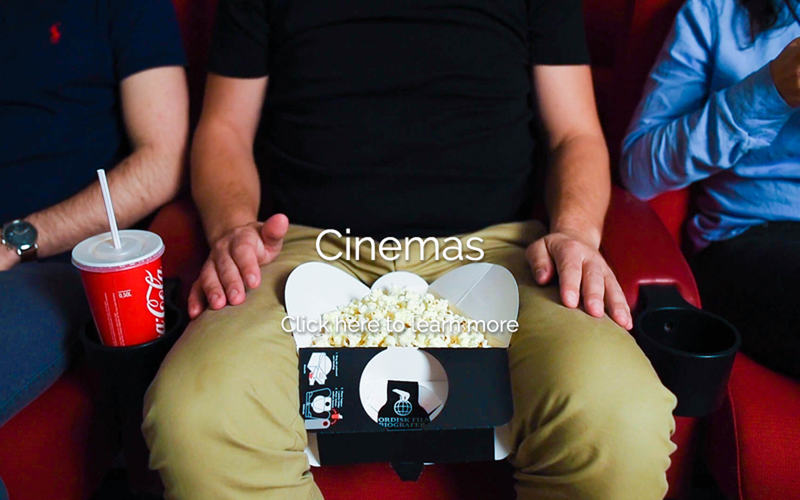 The V-shape makes it possible to place the box between the legs which minimizes spilt popcorn and further enhance the customer experience. The BeerNsnack combo carrier is ideal for carrying 2x food trays and 2x beverages. Enabling the guest to easily carry food and beverages for more persons increase the likelihood of en extra purchase. Visible sides makes it perfect for sponsor activities with tear of coupons, interaction etc. Our materials are made of strong environmentally friendly cardboard, which can be differentiated depending on the weight it has to carry. We mainly offer disposable products , that the customer uses once. The size and shape of the products can be customized to individual customer needs. Custom printing makes the boxes unique. 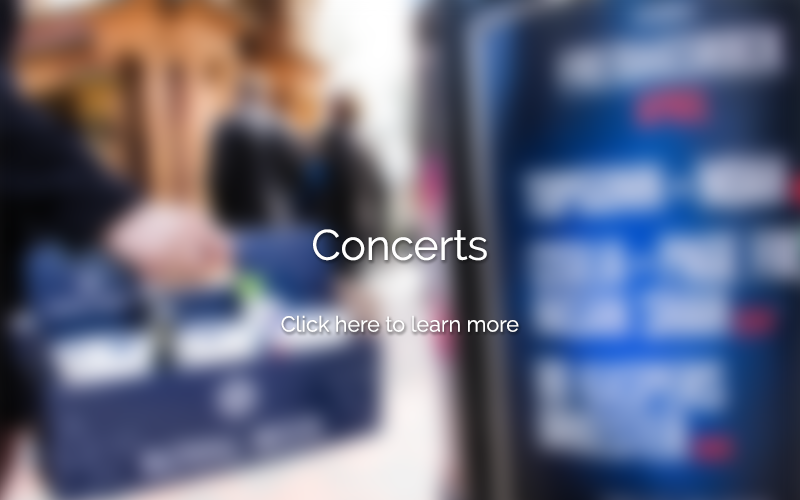 The potential revenue from ads keeps costs at a minimum. Can a cardboard box increase your revenue, profits and create happier customers? We are working with some of the best Danish designers in a close collaboration with leading factories around the world.  Our vision is to make it more convenient to eat on the go, and to increase the range of meals offered by fast food providers. Being busy entrepreneurs the founders found themselves often in a situation where fast food was needed on the go. Eating fast food in the car whether being an adult or the kid in the back seat has always created problems with spilt food on the floor, stains on car seat and clothes. 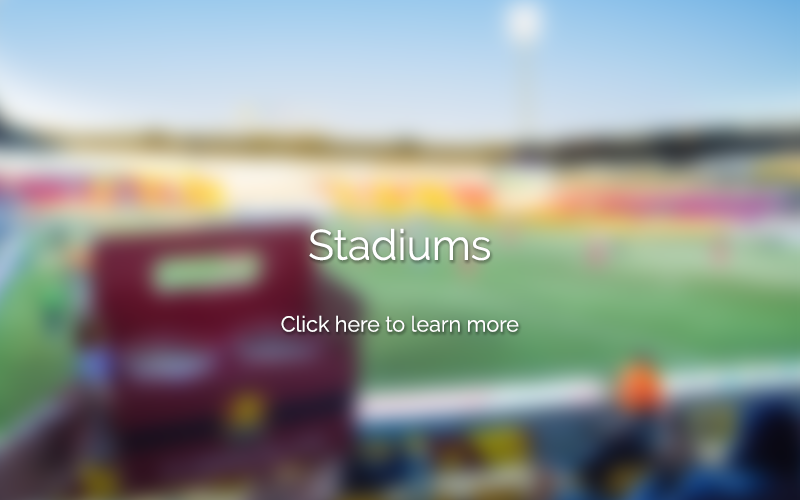 Developing a box that makes it convenient to eat without a table opened other user cases such as stadiums or concerts. 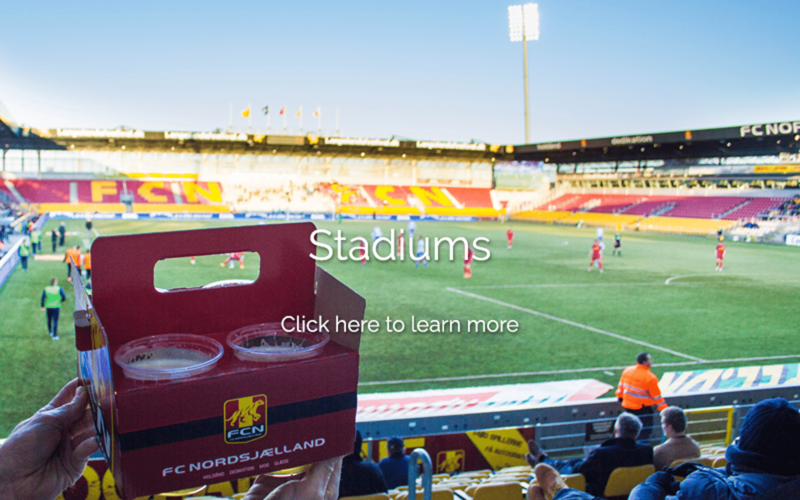 Developing user friendly solutions for guests at stadiums and concert arenas made it obvious that user friendly packaging was need in many situations when carrying or enjoying food and beverages. We soon realized that the challenges for users also affected the profits for businesses. 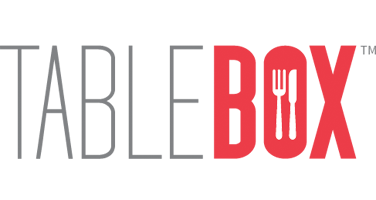 In an entertainment situation guests often view the eating and drinking experience as a vital part of the experience as a whole. 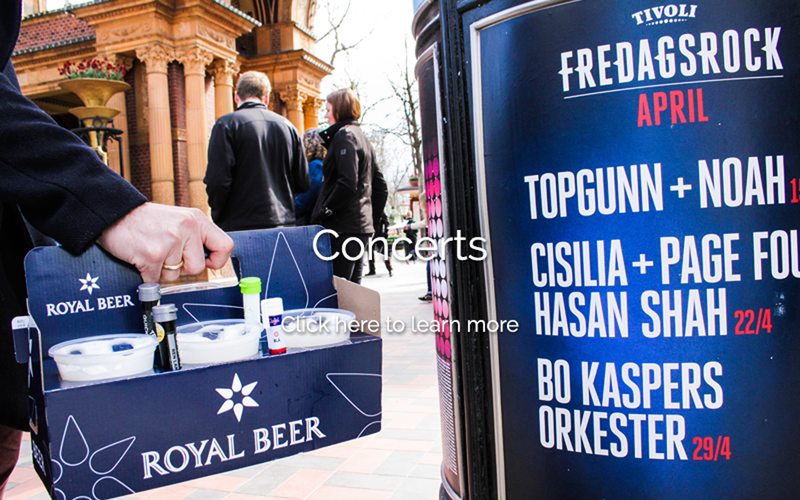 Hence Tablebox today creates customisable packaging solutions for all types of entertainment companies in Europe and North America.